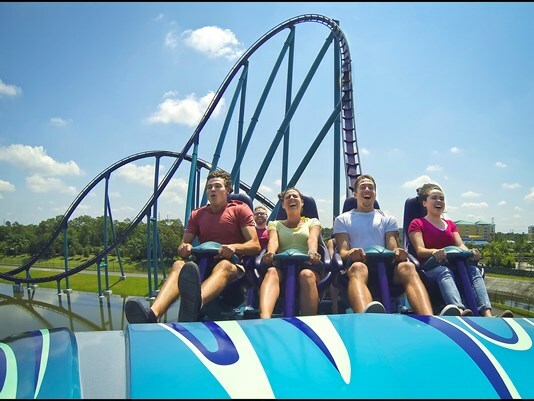 Mako will is the tallest (200 feet), fastest (73 mph) and longest (4,760 feet long) roller coaster in Central Florida. Mako doesn’t have a shoulder bar, but rather a lap bar. There are built-in handles for those (me) who get a bit tense while riding roller coasters. 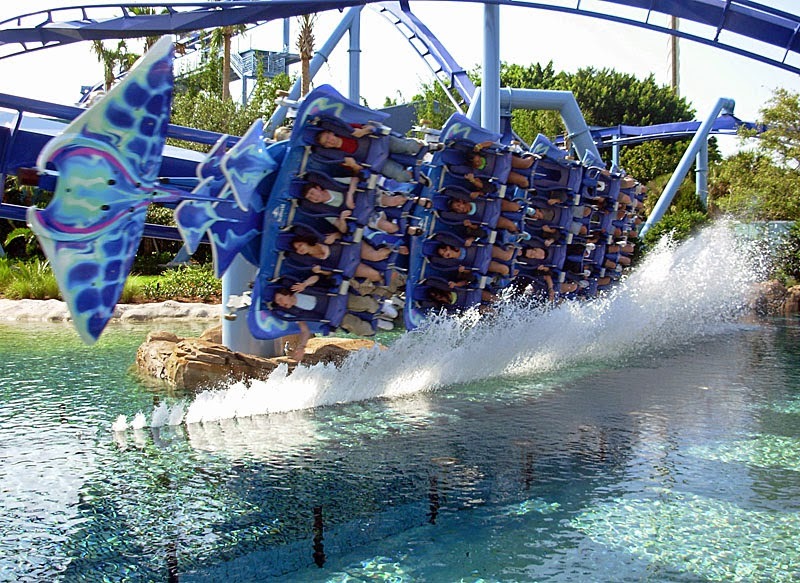 Mako is what’s known as a hypercoaster, described as a roller coast that is at least 200 feet tall, reaches fast speeds and has no inversions. Also, riders experience a feeling of weightlessness or air time during the ride. The first hill is a steep one, but takes about a minute to climb. At the top of the hill, downtown Orlando is easily visible in the distance. The drop, like the first hill, is a steep one – 70 degrees. That first drop is followed by eight more hills. During the few moments I wasn’t preparing for another big drop, I thought about just how fast and how smooth Mako is. And just when I thought the ride was over, Mako goes into a few more twists and turns before heading back into the station. The ride reminded me of the roller coasters at Cedar Point, the theme park in Ohio I grew up spending my summer vacations. A lot of rides in Central Florida don’t incorporate the extreme hills and turns found on Mako. 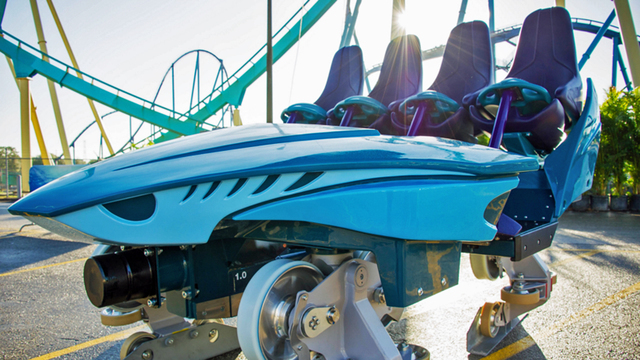 Mako is a true thrill ride, and may give people who haven’t been to SeaWorld in years a chance to re-discover the theme park. The ride takes roughly three minutes to complete, and almost 50 percent of it is over a body of water. For people familiar with SeaWorld Orlando, Mako is located near the back of the park near Kraken. Mako is the centerpiece of Shark Wreck Reef, SeaWorld’s new two-acre, shark-themed area that includes shops, restaurants, an educational experience and a mural pained by Guy Harvey. 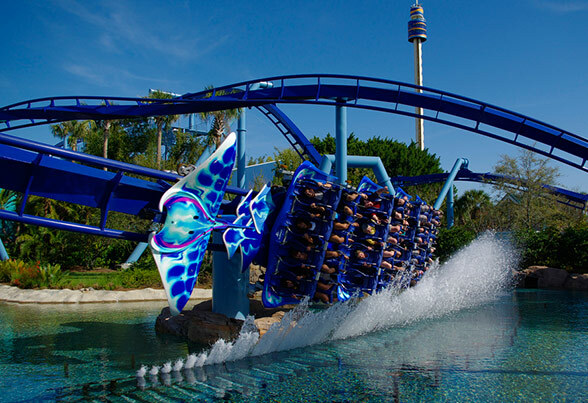 Mako is SeaWorld Orlando’s first roller coaster built at the park since Manta opened in 2009. What are the Top 10 Disney Character Meals?